The last two times Nebraska visited Camp Randall Stadium, the University of Wisconsin football team imposed its will in the form of blowout wins over the Cornhuskers. The combined margin of victory was 66. But there would be no boat race this time. A crowd of 80,833 under the lights at Camp Randall watched as Nebraska overcame a 10-point, second-half deficit only for the Badgers to emerge on the winning side of a 23-17 overtime thriller Saturday night in Madison. Nebraska won the overtime coin-toss and elected to start on defense. 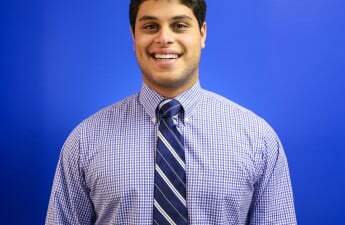 The Badgers called only rushing plays, capped by a Dare Ogunbowale touchdown from 11 yards out, but kicker Andrew Endicott missed the extra point. To win the game, the Wisconsin defense essentially could not yield a touchdown. All Nebraska would get was two yards. Ryan Connelly, filling in for the injured Jack Cichy, made a huge run-stop on second down. Safety D’Cota Dixon broke up Nebraska quarterback Tommy Armstrong Jr.’s final two attempts on third and fourth down, with the final one leading to the Badger bench spilling onto the field in celebration. The play before, Dixon nearly ended the game with a diving interception. He made sure it was over on the next one. 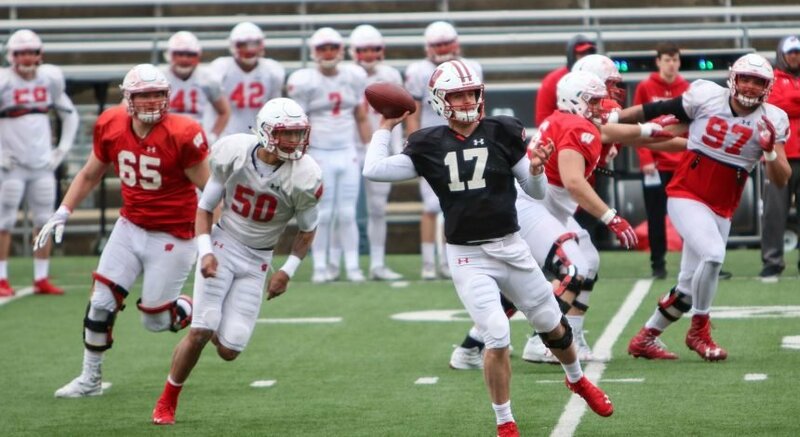 UW head coach Paul Chryst said he chose Bart Houston over redshirt freshman Alex Hornibrook to quarterback the overtime period because Houston gave the Badgers the best chance with what they wanted to execute during the overtime period. Houston had relieved Hornibrook down the stretch. Drew Brown tied the game for Nebraska at 17-17, following a Bart Houston interception, with a 35-yard field goal with 3:43 remaining. It was then Wisconsin took over. After a long night, senior running back Corey Clement finally broke a big run, a 41-yard dash down the Badger sideline to the Nebraska 34. After failing to get another first down, Chryst sent Endicott out for a 45-yard attempt, which he shanked. Nebraska got the ball back, but failed to score, forcing overtime. After three consecutive three-and-outs to start the game, two by Nebraska and one from Wisconsin, Clement used his new role of part-time punt returner to make an impact. He spun his way for a 24-yard return to set Wisconsin up near midfield. The next play was a 30-yard play action completion from redshirt freshman Alex Hornibrook to tight end Troy Fumagalli. Redshirt freshman running back Bradrick Shaw then scored from 21 yards away, charging through a massive hole in the middle. Then came Nebraska’s mistake. Armstrong saw one-on-one coverage on the outside, and completely missed his man. Instead, he hit UW senior cornerback Sojourn Shelton in stride and Wisconsin took over at the 9-yard line, halting the first time the Cornhuskers advanced onto UW’s side of the field. Connelly (11 tackles, seven solo) and Chikwe Obasih had already tipped passes at the line of scrimmage, but the Badgers’ third pass-breakup at the line — this one by Alec James — led to a turnover when the ball landed in Dixon’s hands. The offense, led by Houston on this particular drive, took over at midfield. 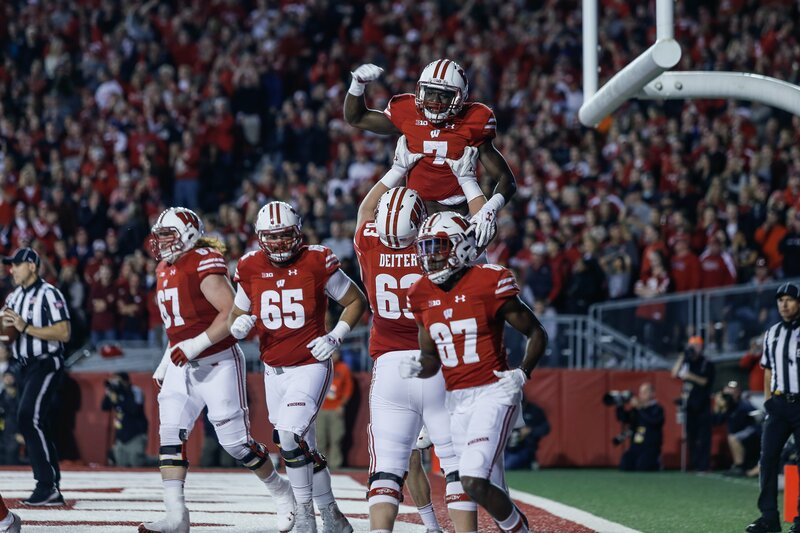 UW advanced the ball enough to set up Endicott’s 43-yard field goal, which gave Wisconsin a 10-7 lead, which held as the score at the halfway point. Out of halftime, with UW offense looking inconsistent at best, the Badgers dialed up a 13-play, 74-yard drive that ended with Hornibrook hitting fifth-year senior wideout Robert Wheelwright on a nine-yard play action pass for a touchdown to give Wisconsin a 17-7 lead with 8:17 left in the third quarter. Hornibrook back-pedaled to avoid oncoming pressure. Wheelwright, who had cut across the middle of the field, was so open off the fake Hornibrook lofted it to his receiver with ease for Wheelwright’s first touchdown of the season. At that point, Wisconsin seemed primed to put the game away. The offenses rebutted each other like a presidential debate all night, with superb defensive play mixed in. The Nebraska offense drove down the field and, much like at the end of the first quarter, was threatening. The Cornhuskers began the fourth quarter inside the red zone. Armstrong punched in a draw from two yards out to cut the UW lead to 17-14. When it was Wisconsin’s time to answer, Hornibrook showed his inexperience with a brutal interception to Nathan Gerry over the middle of the field. But the defense, like it has done all season, stepped up to force a three-and-out. Ogunbowale, who had success all night on rushing plays out of shotgun formation, then broke the 100-yard mark with a 39-yard dash into Nebraska territory. Two plays later, Houston, in on his third drive of the game, threw into double coverage for Wisconsin’s second interception in as many offensive series, once again putting the balance of the game in the defense’s hands. As it would turn out, that was a wise choice.